Rumours have been suggesting the coming of Liter version of Google Pixel 3 and Pixel 3 XL for a long time now. 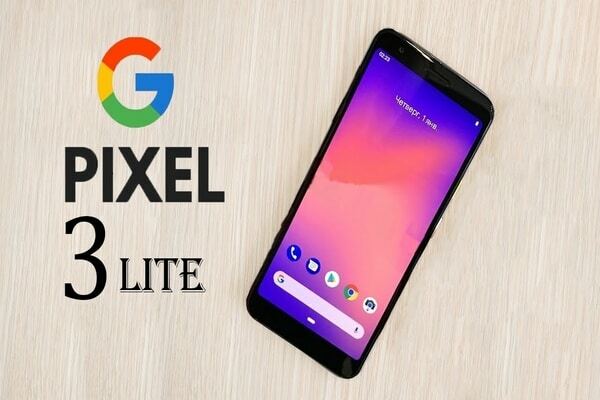 These phones from Google are said to be called Pixel 3 Lite and Pixel 3 XL Lite. Looks like the Pixel 3 Lite and Pixel 3 XL Lite are heading to India very soon. A new report coming from an Indian tipster Ishan Agarwal reveals some details of the Pixel 3 Lite and Pixel 3 XL Lite India launch. The report suggests that both the Pixel 3 Lite and Pixel 3 XL Lite will be launching in India very soon. The report didn’t reveal the exact launch date of the Pixel 3 Lite and Pixel 3 XL Lite. Considering the rumours and leaks about the two phones are flooding the internet we can expect the India launch of the Pixel 3 Lite and Pixel 3 XL Lite to happen sooner than one can even imagine. The launch may happen in a few months from now. The new report reveals that the Pixel 3 Lite and Pixel 3 XL Lite will come with model numbers G020B and G020F respectively. It also reveals that both the Pixel 3 Lite and Pixel 3 XL Lite will be manufactured by Foxconn. The report further reveals some details about the India price of the Pixel 3 Lite and Pixel 3 XL Lite. It suggests that both the Pixel 3 Lite and Pixel 3 XL Lite will be priced really high in India. The reason for the high price is that the phones will not be manufactured in India. In fact, both the Pixel 3 Lite and Pixel 3 XL Lite are expected to be manufactured in China and imported to India which will increase the India price of the phones significantly. Having said that both the Pixel 3 Lite and Pixel 3 XL Lite will have pretty high priced tag compared to phones like OnePlus 6T or the Honor View20. Ahead of the launch, the Pixel 3 XL Lite has made its way to the Geekbench benchmarking site. The benchmark listing reveals that the Pixel 3 XL Lite will come packed with 4GB RAM. Previously a 6GB RAM model of the Pixel 3 XL Lite was also spotted. The Geekbench listing further reveals the name of the phone to be Google Pixel 3A XL. The benchmark listing also reveals the performance score of the phone in question in single and multi-core. In single core, the Pixel phone manages to score 1640, while in multi-core the phone scores 4973. The Geekbench results also show that the Pixel 3 XL Lite will be powered by a Qualcomm processor. Rumours previously revealed that the Pixel 3 XL Lite could be powered by Snapdragon 710 chipset. To brush up the specs, the Pixel 3 and the Pixel 3 XL both are powered by Snapdragon 845 chipset. The Liter version of Pixel is mostly said to look like Pixel 3 and come with a single camera on the back and front. The Pixel 3 Lite will sport no notch like the Pixel 3 XL, rumours suggest. Previous story Good News For PUBG Fans. New Update allows you to buy weapons.